Hey coffeeholics! The sun is shining again. HOOOORAY! I'm so happy to see the sun. Let us continue on praying for good weather. 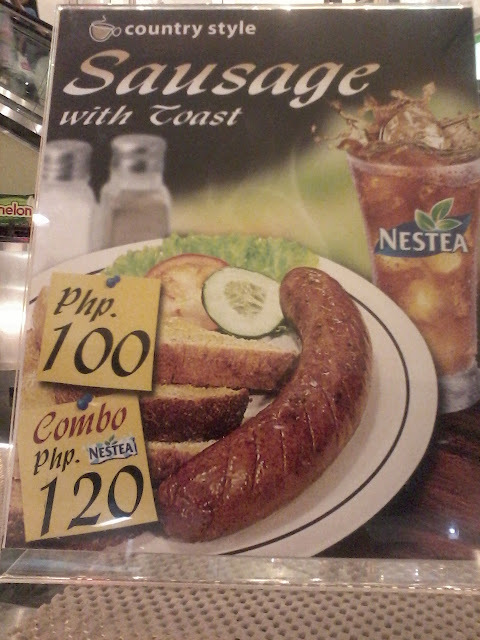 Anyway, just wanna share one of my "finds" for the Food Diary section of Brew of the Day. 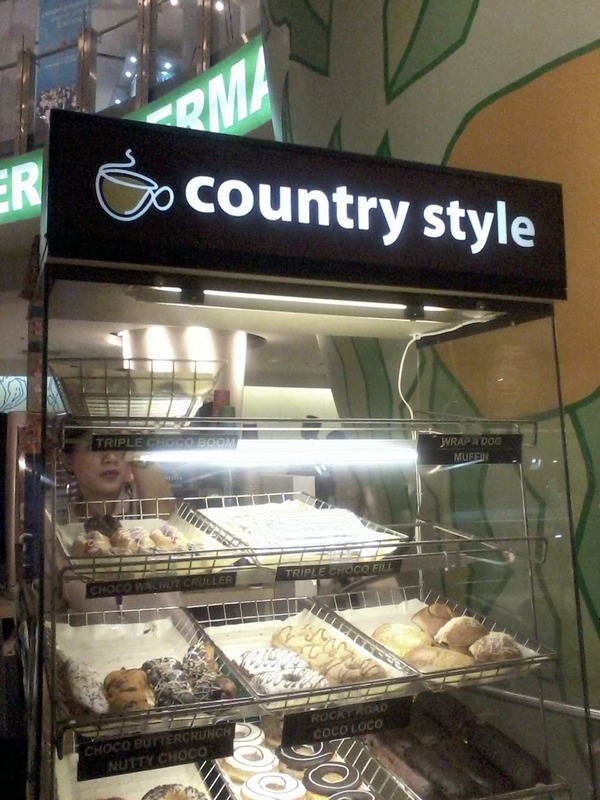 Let me all reintroduce you to one of my favorite donut/pasta/pastry store - the COUNTRY STYLE. I was on my way to meet JEN (shopgirljen.blogpsot.com) at Trinoma one day and we agreed to meet up at Landmark's Foodcourt near the grocery. So I hopped on the escalator and as I was going down, I was greeted by a pleasant surprise. 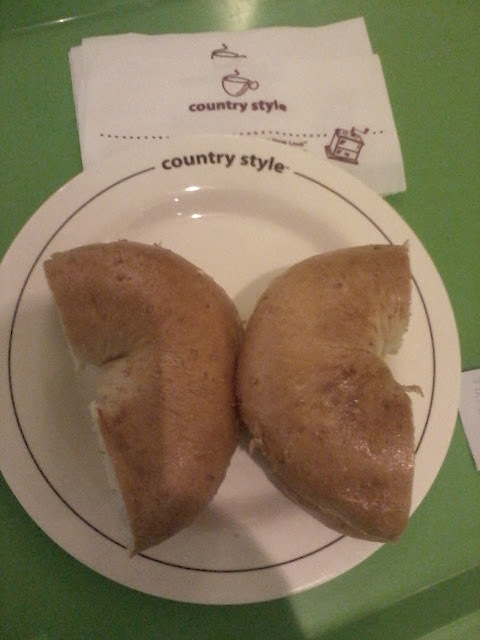 The COUNTRY STYLE is now here and available at Trinoma! YAY! I've always been a fan of Country Style's pastries. 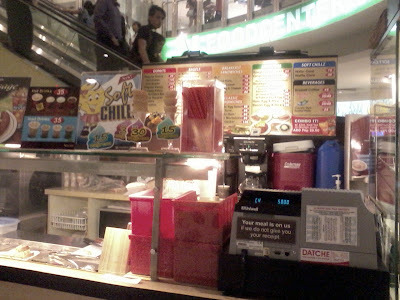 I can still remember always buying from them during my college days. 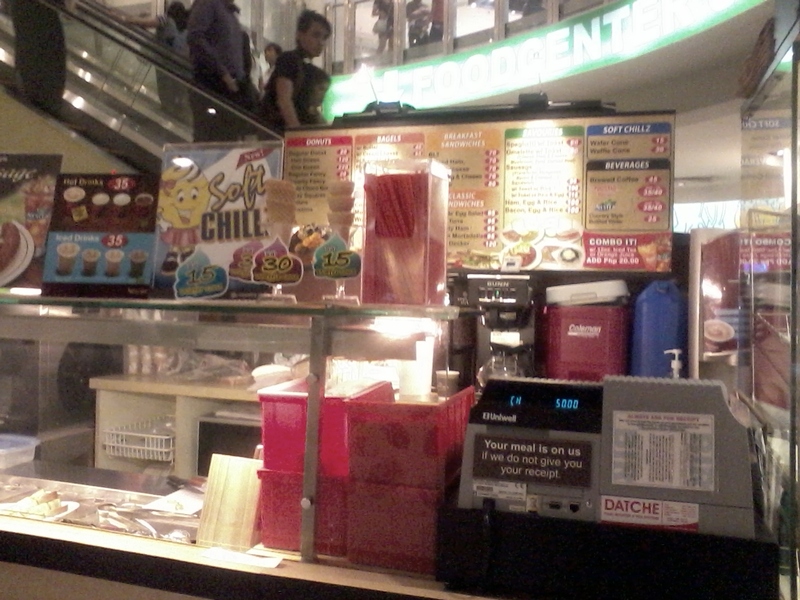 They used to have a stall at SM City North Edsa and I remember waiting until cut off ng closing coz its Buy 1 Take 1! hehe. 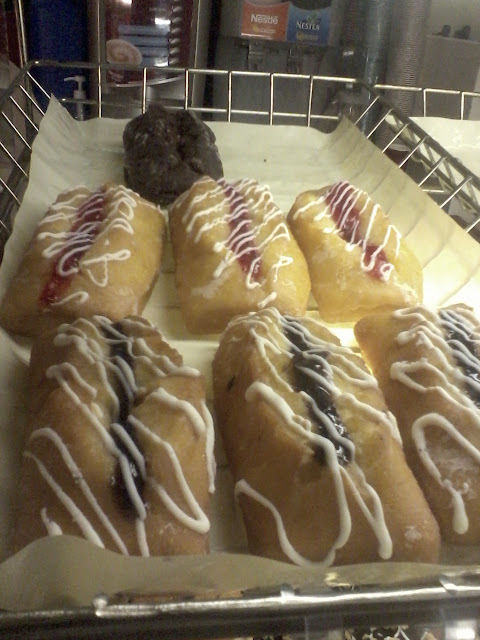 The crullers got to be my favorite! 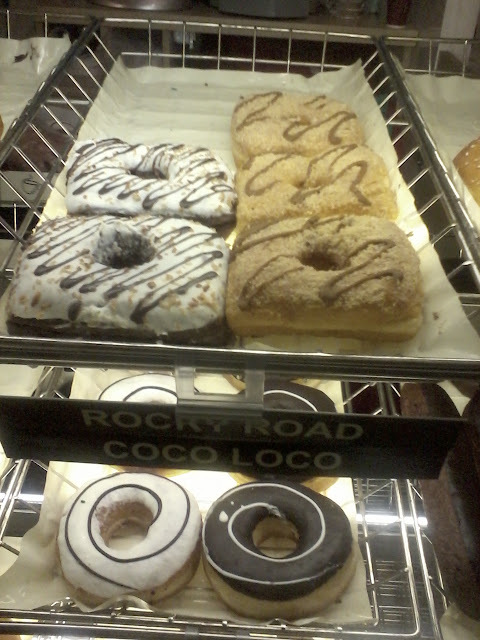 I totally love the choco walnut cruller. 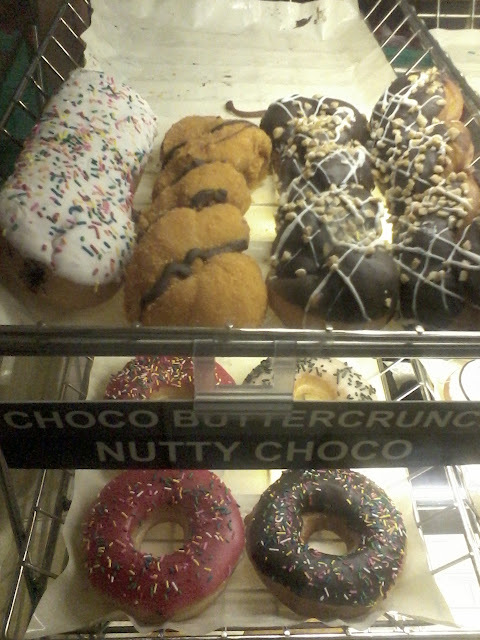 The choco walnut cruller is the one at the very back.. the brown one. hehe. Also my favorite Country Style donut has got to be the "Tiger Paw" donut! Its called Tiger paw coz it is shaped like one. I don't reminder if it was cinnamon but I do remember it was sweet, a bit gooey and caramelized, and yummy. :P Unfortunately it wasn't available when I visited their stand. 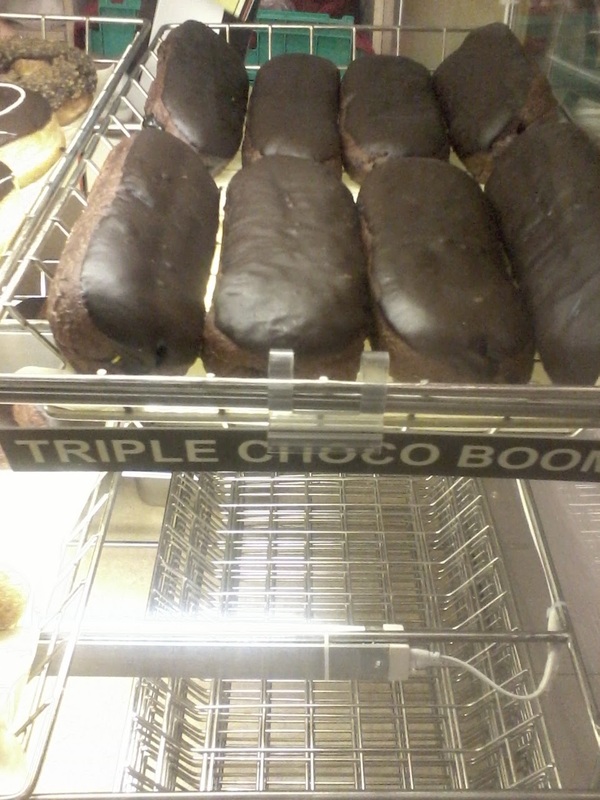 Triple Choco Boom is also a favorite. My sister would always beg me to bring home one as a pasalubong! What I really love about their donuts and pastry is that it is not too sweet and tasted just right. I love the texture of their donuts which is not too airy but just enough to fill your tummy. One of my favorite Country Style branches used to be at West Avenue. They served past and breakfast meals - my favorite meal of the day! I remember always buying their bagel and egg sandwich. They'd sprinkle it with pepper and put on some butter and its definitely a winner for me. I ordered one that day but sadly the eggs aint that fluffy and yummy like they used to be. :( such a disappointment. It cost me P100 (used to be P60 or P70 back then around 2004 or 2005) so it was kinda sad that I wasn't happy when I finished my meal. 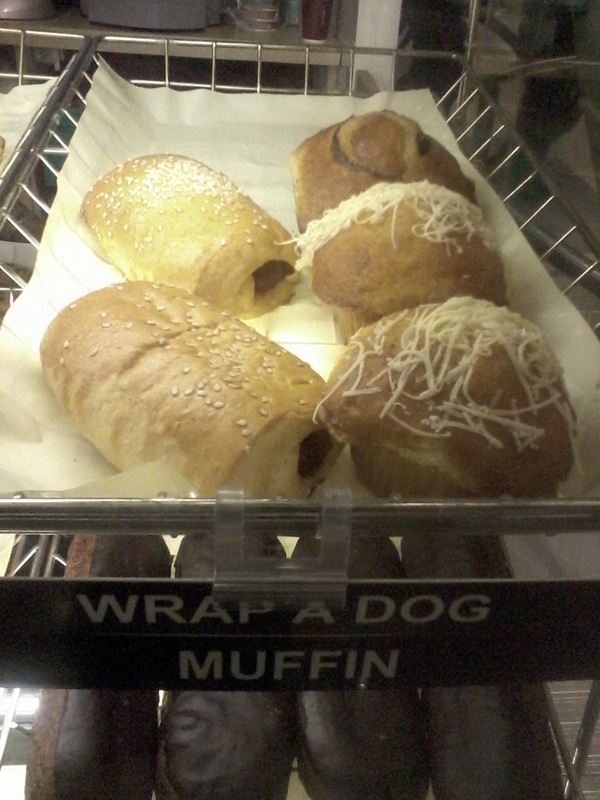 I hope their other breakfast or pasta meals are better. wanna try this one out! 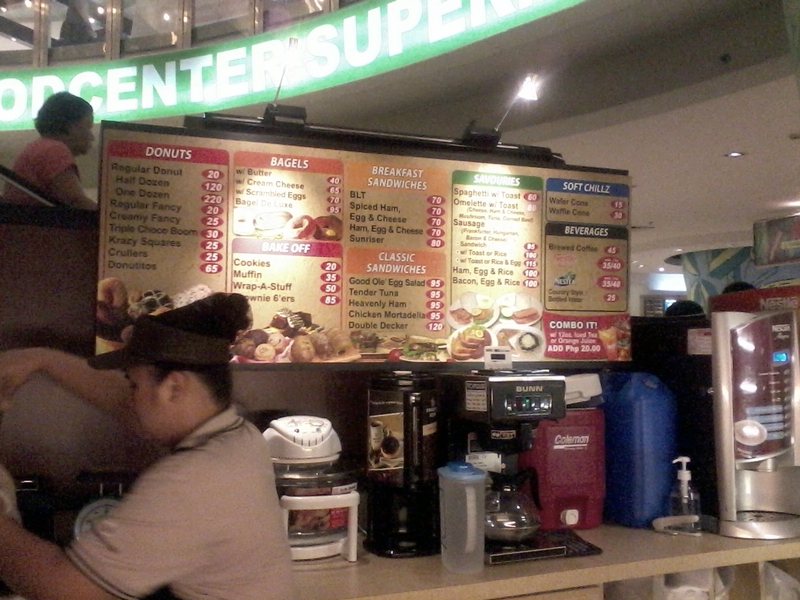 I didn't buy any donuts that day but I surely will next time I drop by Trinoma Landmark Foodcourt. So coffeeholics, are you familiar with The Country Style? What's your favorite donut? Or do you prefer another brand? Let me know your thoughts. Share share share! Mwah!